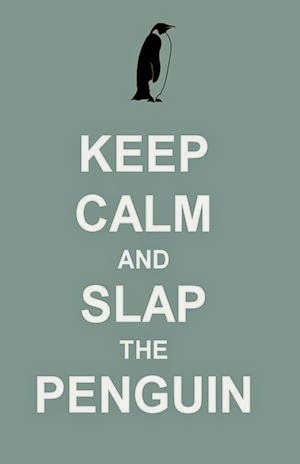 Slap The Penguin: Is Beck Hansen Michael Cera's Dad? White shirt and a tie... coincidence? I know that image is not totally 100% convincing, but take a look at this one. There can be absolutely no doubt that there is some kind of paternal relationship here. Considering the 18 year age difference, is Beck Hansen Michel Cera's Dad? Share your view using the poll or the comments area. 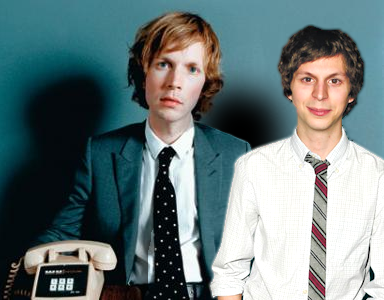 Is Beck Hanson Michael Cera's dad? Thos photos prove - as I always maintained - that they don't look alike at all.